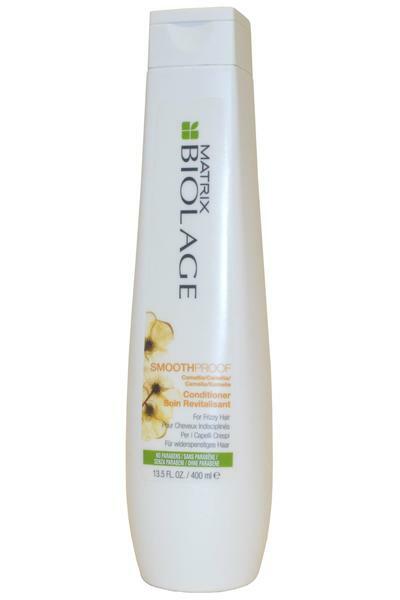 Matrix Biolage Smoothproof Conditioner is perfect for curly, unmanageable hair in humid climates. Inspired by the natural resistance to water camellia flower, this conditioner provides control against frizz. Keeps your hair looking soft and beautiful even in a 97% humidity.